Bluefire Consulting are recruiting an experienced Direct Mail / Catalogue Production Manager in North London within the Online Retail industry. The succesful candidate will have a solid Direct Mail background in a B2C environment, with a good understanding of print and production processes. A background in catalogue planning and production is essential. Candidates must have an exceptional eye for detail and excellent communication skills. 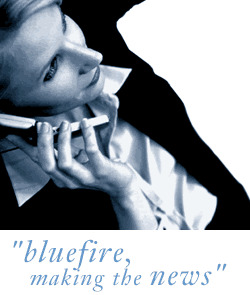 Bluefire Consulting is an equal opportunities Employment Business/Agency specialising in Advertising and PR recruitment on a UK wide basis.